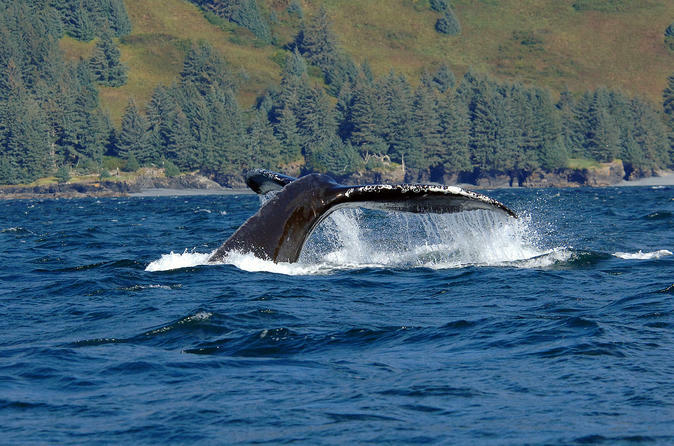 Escape to the Alaskan Wilderness on a small group Whale Watching Adventure from Juneau. This is your chance to see humpback whales, bald eagles, seals and sea lions on an amazing 2-hour cruise on Auke Bay. 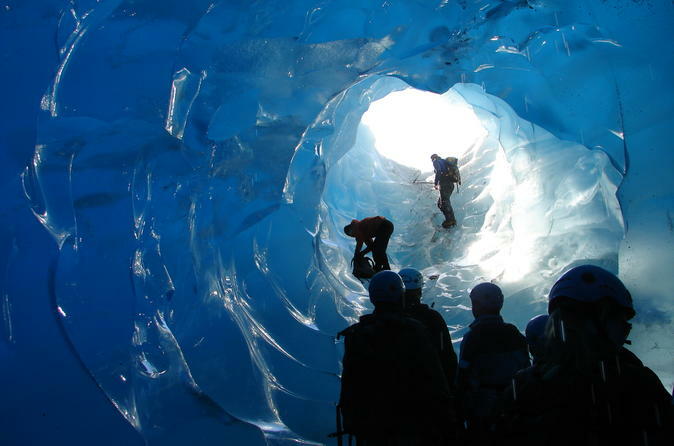 Afterwards, spend 40-60 minutes exploring impressive Mendenhall Glacier. While in port in Juneau, take advantage of Alaska’s incredible scenery on this two-part shore excursion. 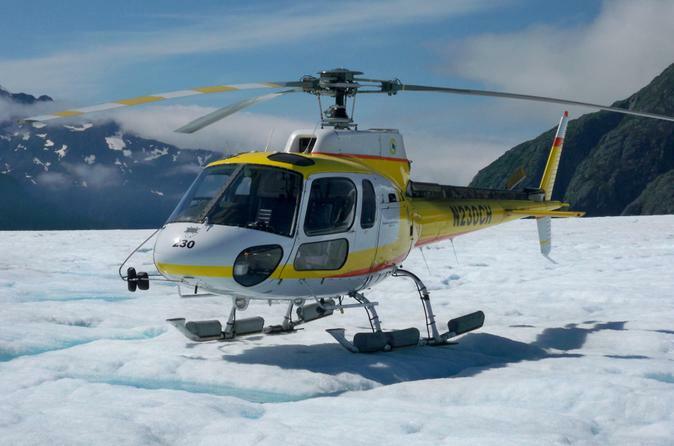 Take to the skies on a helicopter tour over the stunning Juneau Icefield, and land on the awe-inspiring Herbert, Taku, Lemon or Norris Glacier for an astounding walkabout amidst the spectacular glacial landscape. While in port in Juneau, enjoy an scenic Alaskan experience through the eyes of an Iditarod musher. This shore excursion takes you on a helicopter tour over the glaciers of Juneau Icefield, landing at a secluded glacier camp for a dogsled ride. Glide through the ancient icefields with a team of Alaskan huskies and hear stories about the famous Iditarod race from mushers themselves! Spend your time in port in Juneau on an Alaskan wilderness adventure as you are introduced to glacier trekking on Mendenhall Glacier! This exhilarating shore excursion will show you a stunning piece of Alaskan nature. 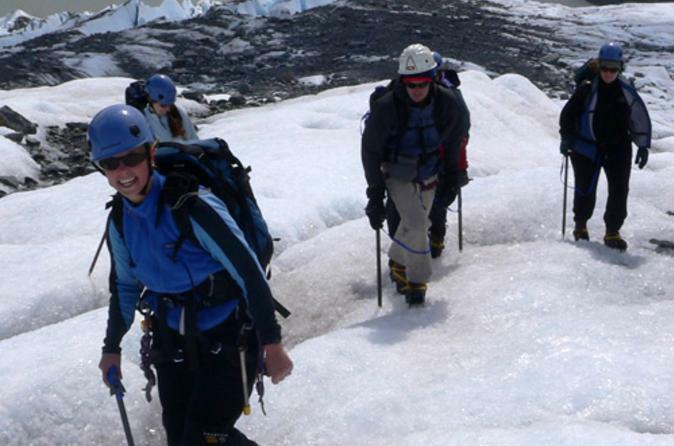 As you explore the glacier on foot you’ll see ice caves, dramatic crevasses and interesting glacial formations. While in port in Juneau, spend some time on a 48-passenger sightseeing boat spotting humpback whales in the picturesque Auke Bay! Admire the expansive Alaskan mountains in the background on this exciting shore excursion as your guide teaches you about the surrounding marine life. Keep your eyes out for whales leaping out of the water! You may also spot sea lions, harbor seals, porpoises, bald eagles and even bears on shore. You may even see Mendenhall Glacier on a clear day! Soak up Alaska’s amazing scenery from two different perspectives – on a helicopter tour and a guided glacier walk from Juneau. 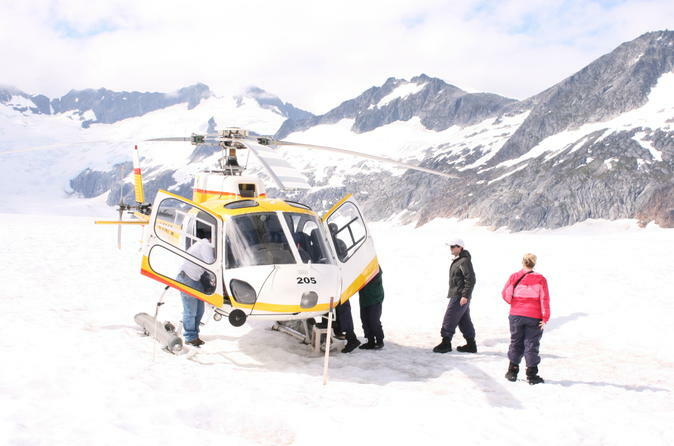 Enjoy aerial views on a helicopter flight over the rock formations and icefalls of the Juneau Icefield, and land on a glacier for a narrated walk amidst the spectacular glacial landscape. 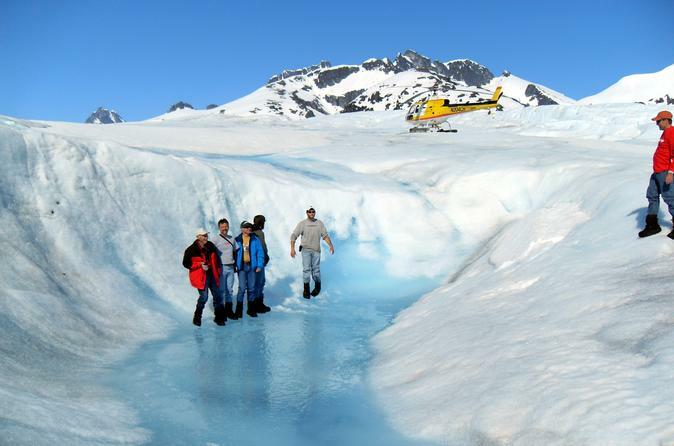 Join an Alaskan wilderness adventure as you are introduced to glacier trekking on Mendenhall Glacier! 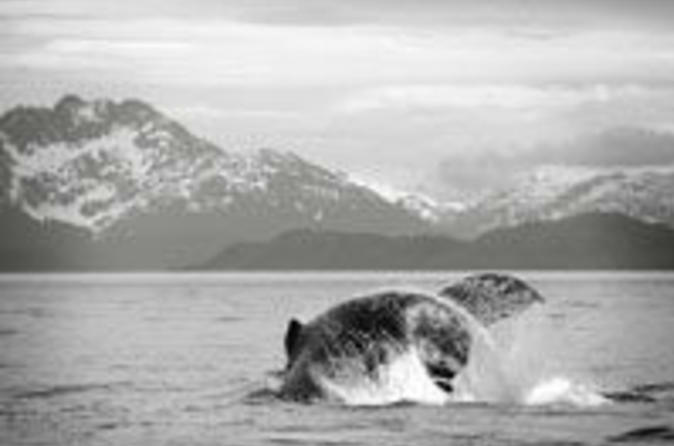 Combine whale watching with a tram and salmon lunch or dinner on this exciting Juneau tour! Choose from a selection of tour times, and start with a whale-watching cruise from Auke Bay into the Inside Passage for a chance to see humpback whales in the wild, as well as other native marine life like sea lions, seals and orcas. Then take the scenic aerial tram up Mt Roberts to Timberline Bar & Grill, where you’ll enjoy a lunch or dinner of grilled salmon. 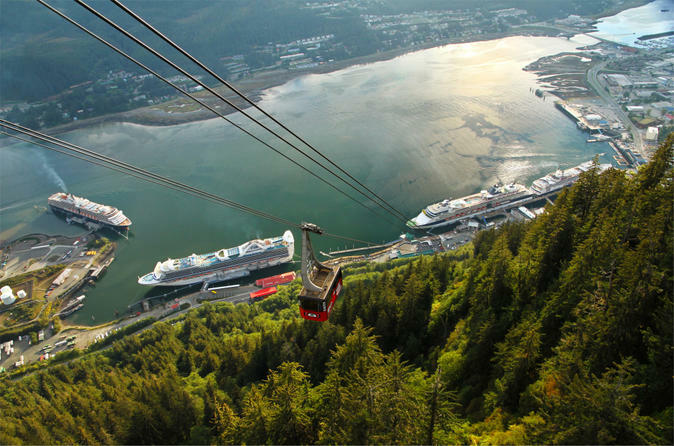 While you eat, admire spectacular views of Juneau, and then make your own way back down the tram whenever you wish. 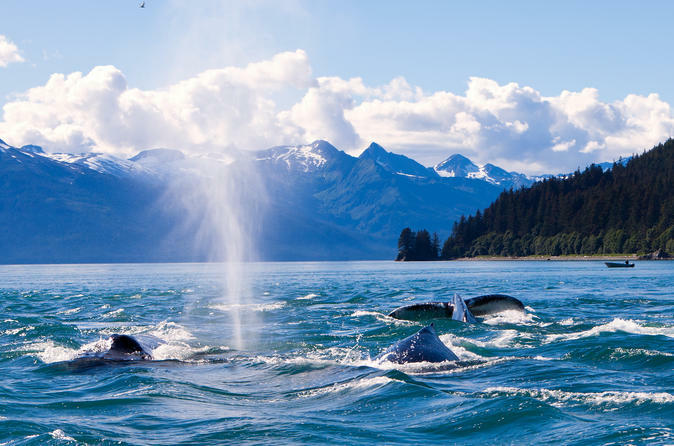 Pristine blue waters, breaching whales, bald eagles soaring overhead — these are just some of the reasons to take advantage of this whale-watching tour in beautiful Juneau, Alaska. Discover why whale watching here is at the top of many outdoor adventurers’ bucket lists. Your captain and informative nature guide will show you the best wildlife viewing on Juneau’s waters. 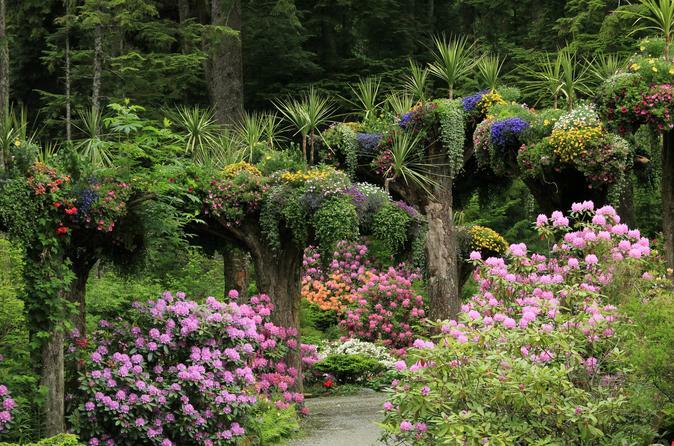 Welcome to Glacier Gardens, a uniquely designed rainforest botanical garden nestled in the midst of Tongass National Forest. On a guided tour, learn about the exquisitely landscaped botanical gardens, the reclaimed stream cascading close by, and the innovative garden designs, all while indulging in the area’s immense history and rare temperate rainforest habitat. Travel by covered rainforest shuttles through Alaska’s natural wonderland. Your guide will describe points of interest along the 2-mile long path up Thunder Mountain, where a cliff-side boardwalk leads to a phenomenal panoramic view of Juneau. Open May - September and not available for off-season visits.